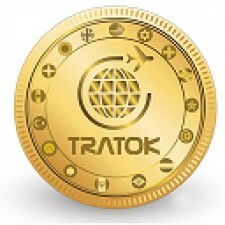 The Tratok token aims to solve the travel and tourism sector's problems by powering a purpose designed multi-platform application which can link consumers with suppliers. Stakeholders will register and be matched appropriately in the marketplace. The Tratok Project continues to progress, surpassing the initially forecast milestones set out at the project's inception and constantly evolving to meet the ever-changing needs of the sector. LONDON, August 13, 2018	(Newswire.com) - The Tratok Project continues to progress, surpassing the initially forecast milestones set out at the project's inception and constantly evolving to meet the ever-changing needs of the sector. This success can largely be attributed to the dedicated and driven dream team who share a common vision – to bring a new dimension of transparency and cost-effectiveness to the travel and tourism industry – an industry thus far riddled with fraud, overcharging and inefficiencies which come at a significant cost to the everyday traveler and small service providers. This in combination with a focus on delivering a working and feasible product before focusing on profit has resulted in the project being far more mature than rival competitors. It is within this framework that the team is delighted to announce the recruitment of a new team member. Attracted by a vision to redefine the travel market for the better, Donovan Schram joins Tratok as Director of Business Development for Emerging Markets. A South African born, FSA registered graduate in Economics and Finance from the University of Cape Town, Donovan brings with him a wealth of international financial experience as a foreign currency and fixed income trader at world-renowned banks such as Barclays. This pedigree background is complemented by extensive experience in the hospitality industry, making him a natural addition to enhance the Tratok team and add further strength to the creative side behind realising the project’s goals and business development. A driven entrepreneur at heart with exceptional knowledge of emerging markets, the appointment of Mr. Schram reinforces Tratok’s commitment to being a truly global solution and ensuring widespread adoption of our disruptive technology and the team’s recognition of emerging economies and their importance to the future of the industry. “There is a growing impact on the travel and tourism industry coming from emerging market countries and at this rate, they will soon outpace their developed counterparts. These countries have also been seen to embrace new technology and use it to their advantage, abandoning outdated and archaic methods that have been dominating the travel and tourism industry at the disadvantage of the traveler and service provider. Strong-arm tactics are being used by the few dominant online travel booking websites to maximise costs for the traveler and service providers and this is inexcusable in the 21st century. With Tratok, we will change this outdated practice by giving everybody a chance to participate in a free and fair tourism market and enhance user experiences while reducing costs,” said Mr. Schram in a statement released to the media. Mr. Schram begins his duties with immediate effect. Sign up for email updates from Tratok Ltd.